One of my first LTFC entries was a vaguely similar ship. Cool. Now that it is not a contest, perhaps... we will see some entry from you? Now they are hidden in REKT, mostly . Btw thanks for running with the concept and improving it. The poll is a great idea, it may increase the feedback/discussion! I might do that, yes. I could, now that I'm no longer a judge - and indeed, now that no judging is necessary. Do eeeeeet, the more the merrier. That looks outstanding! particularly like the lighting and texturing - the texturing is awesome. I can't tell that it tiles, actually - does it even tile? Talv, I guess the texture is procedural, not a picture tiling. At least this is how I do it, normally. Thanks guys - CSE's right, it's procedural. 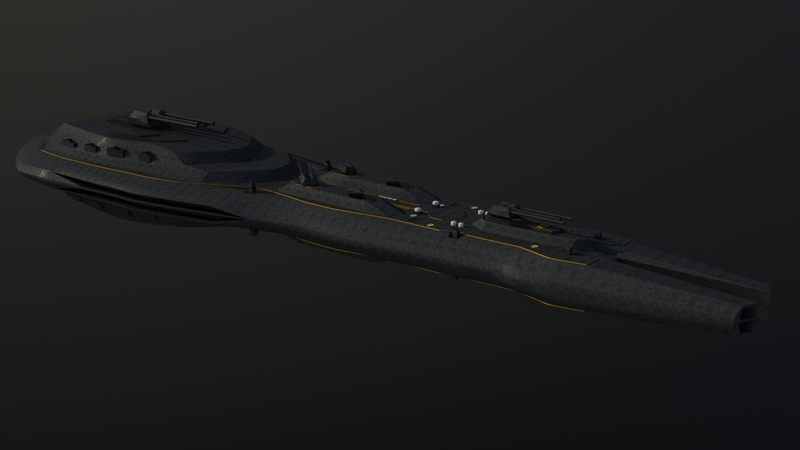 I used the same one from the destroyer, just scaled up two and a half times on a ship five times larger. Sweet! I dig it...the small details in proportion to the overall size really give it a sense of scale. Also digging the Gundam-esque thingy's on the side of the bridge. A suggestion? If you have this control...looks like you're using a quite high focal length for your render camera. Have you considered shortening the focal length to add some additional perspective to the scene? 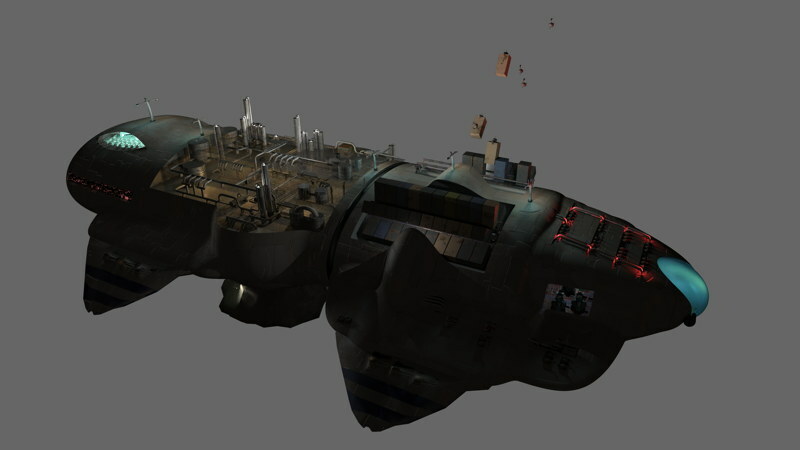 It will also double-down the huge-scale feel of it all (although you might have to re-position the other assets (planet, other ship) to pull them back into the scene). I did a bit of fiddling, changed the focal length to 40mm and moved things about a bit. It does look a bit bigger! Ooh, very nice! Sleeve, you were right! That made a huge difference.